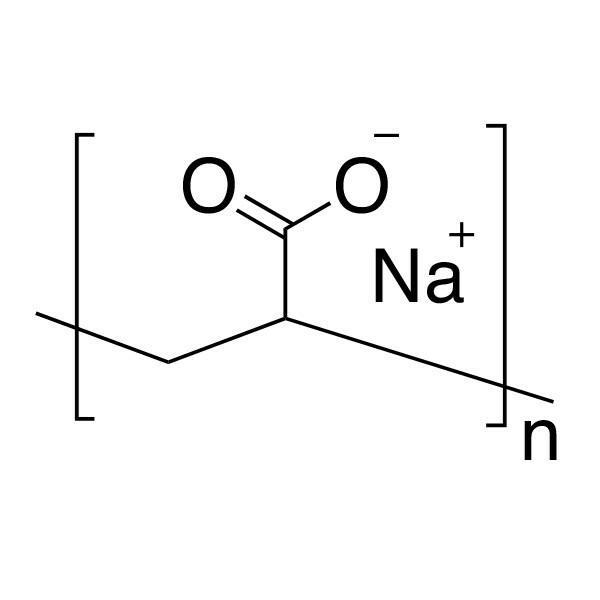 Sodium polyacrylate is a super-absorbent polymer that is commercially used as a water-lock . It is hydrolytically and thermally stable, and not considered hazardous. It is broadly used as antiscalant (control of water hardness) in consumer products and industrial applications. PAANa is a water-soluble anionic polymer (polyelectrolyte). Used at low molecular weights as pigment dispersant and at higher molecular weights as a flocculant. Polymer can form complexes with poly(ethylene oxide) and with nucleotides.